I HAVE LIVED with a dangerous and abusive partner in the past, I have struggled with the court systems in this country and battled to have breaches of safety orders followed through by An Garda Siochana. For these reasons, I decided to set up the Do or Die Foundation with Priscilla Grainger and our three children. Myself and Priscilla met at the beginning of January. Priscilla had contacted me after reading my book ‘Do or Die’. The book is a biography based on that time of my life. Following its publication, I appeared on The Late Late Show to be interviewed. After the show, I began to receive messages from people around the country, male and female, young and old. They were messages of support and kind words but, also messages seeking advice and support. I did what I could at the time. This is also why Priscilla got in touch with me. She needed advice as she had just left an abusive relationship and was trying to overcome her feelings of anxiety and disbelief at what she had actually come through. We became good friends and together we decided that we wanted to do something to help others in the same situation. Both of us realised there is need for change in our justice system, in the family courts, and also the way that domestic violence is swept under the carpet and is still treated as a taboo issue. Domestic violence should not be taken lightly by people who have no understanding of it. Domestic violence can lead to premature death and severe mental health problems. Thankfully myself and Priscilla were strong enough to overcome this – but others are not so lucky. I have struggled with the court systems in this country and battled to have breaches of safety orders followed through by An Garda Siochana. Their resources are stretched. 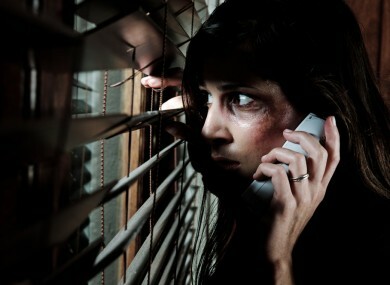 At least 70 per cent of calls to police stations across this country are of domestic violence origin. This is a huge problem in this country and for the gardai. Domestic violence is not recognised as a crime in this country but, should be. Until you have endured domestic violence either physically, mentally or emotionally you will never really have an understanding of the degradation, hurt, sadness and fear that some of these people have to live with. Would you like to live like that? I am guessing your answer to that question is no. Domestic violence does not only affect women. It also effects men, children and our elderly. If I felt deep down in my heart that a loved one was in a controlling abusive relationship, I am sure that I would fear for their safety and that concern would be paramount in forcing me to find out the background and truth about their potential abusive partners. We set up the Do or Die Foundation so we could offer one to one support to anybody who is finding themselves in difficult times either enduring or escaping domestic conflict. All of our services are free. We also offer court accompaniment should anyone feel nervous about attending a court alone. The generous support of the public has been overwhelming and because of that we can now offer emergency clothing to families leaving their homes in an emergency situation. The Do or Die foundation has been lobbying for the implementation of a domestic violence register in Ireland. The aim of this register is to protect its citizens and not to scaremonger. This register is controlled by the gardai and the identity of persons on such a register is not easy for the general public to access. Anyone seeking information about a person’s background is only given this information when the gardai are satisfied that such requests are cause for concern and that a person’s life is in danger. The receiver of this information will also be held accountable for exploiting this information in any way and under the data protection act can be prosecuted if the information is used incorrectly. So it is not simply a register were anyone’s name can be placed on the register, nor can just anyone search the register. We at the Do or Die Foundation are working hard to help people in whatever way we can. We are here to offer a listening ear or shoulder to cry on when needed. We have suffered in the past and we know what it is like to feel isolated. All you need to do is pick up the phone and call us. Rita Harling is one of the co-founders of the Do or Die Foundation. For more information about the organisation or if you want to seek help you can contact Priscilla: 0851634219 or Rita: 0851644684 for help and information. Robyn : 0851634050 for clothes collections and help for teens. For further information please visit their Facebook page here or their website. Email “Column: In order to protect the vulnerable, Ireland needs a domestic violence register ”. Feedback on “Column: In order to protect the vulnerable, Ireland needs a domestic violence register ”.